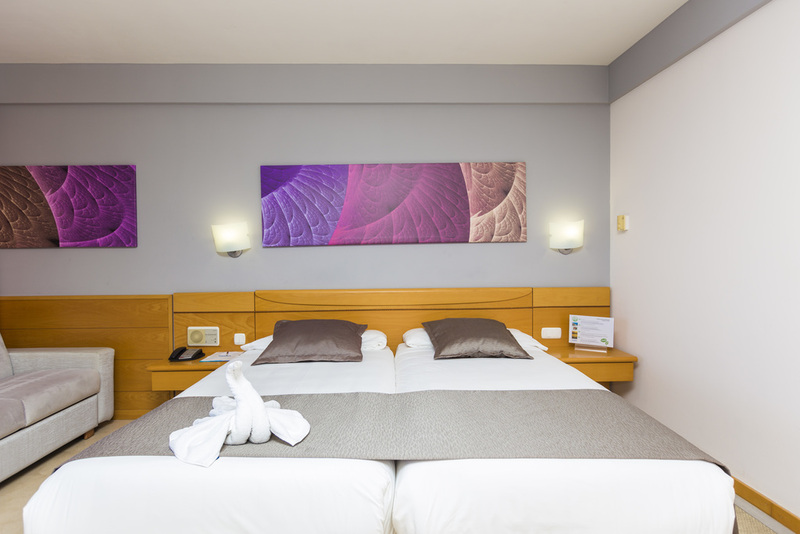 From 70€ per night - 364 rooms of 5 types. Spacious rooms with a living room and a sofa bed (ideal for a third person). Comfortable, elegant and luminous double rooms with terrace or balcony. You can surf the internet with the free WIFI. To make your stay perfect, we recommend the "get in shape" pool in our Thalasso Center Gloria Palace (situated in block 4). Discount for hotel guests. Spacious rooms with a living room and a sofa bed (ideal for a third person). 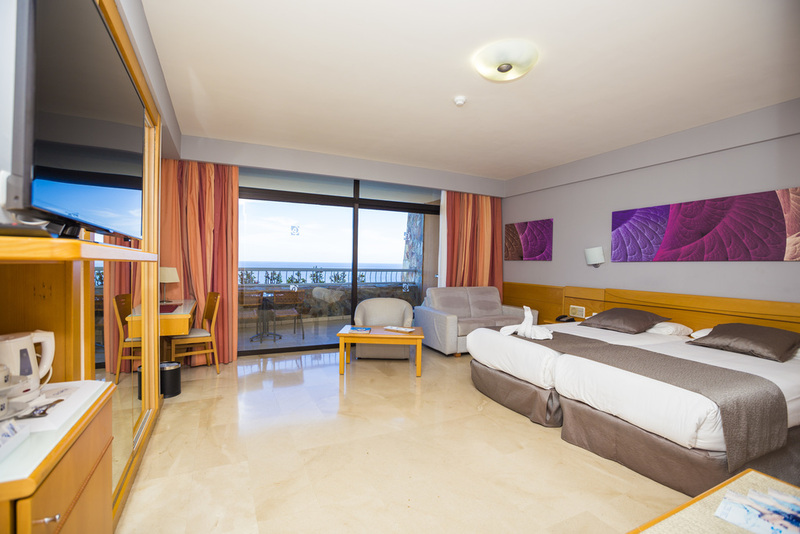 Comfortable, elegant and luminous double rooms with terrace or balcony with sea views. You can surf the internet with the free WIFI. To make your stay perfect, we recommend the "get in shape" pool in our Thalasso Center Gloria Palace (situated in block 4). Discount for hotel guests. The Thalasso Room includes bathrobe and slippers for the use during your stay in the hotel. Outdoor furnished balcony with great sea views. Free WIFI. If you reserve this room, the "get in shape" pool in our Thalasso Center Gloria will be included each day for each person. The "get in shape" pool is the most popular treatment in our Thalasso Center Gloria with duration of two hours. Enjoy the Thalasso Experience, staying in our wonderful Suites.Exclusiv & Spacious room with separated living room & terrace with hammocks direct to sea views Includes Circuit "Thalasso Experience" with Sauna and Gym entire stay. It also includes a bathrobe, slippers and pool towels for use during your stay at the hotel. Enjoy surfing the internet with our free WIFI.